GIMX – Page 31 – GIMX adapts your gaming devices! The schematic is a subpart of Rick’s schematic: I only removed the xbox controller to teensy++ interface. The first diy project I want to share is a mouse and keyboard to ps3 converter. The mouse and the keyboard are directly wired on pins of the Teensy++ (both are ps/2 devices). 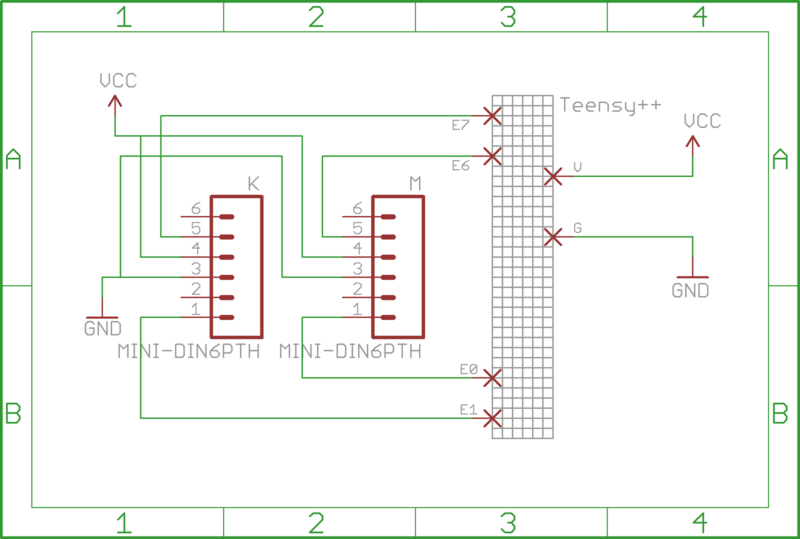 The Teensy++ is connected to the ps3 and acts as a standard ps3 usb hid controller. 1/ I modified the usb hid keyboard example available at http://www.pjrc.com/teensy/usb_keyboard.html so as to make a usb hid joystick recognized by the ps3. 2/ I transplanted it into Rick’s code. 3/ I wrapped mouse and keyboard buttons to joystick buttons. 4/ I wrapped x and y mouse movements to joystick z and rz axis. 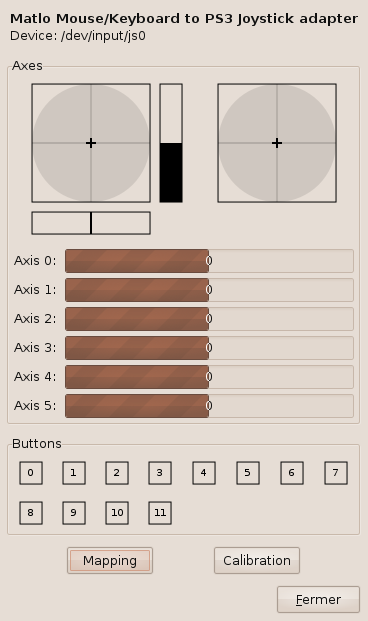 5/ I made some calibration tests to adapt mouse movements to thumbstick movements. Step 5 is not yet finished, I’m working on improvements.